The latest travel news, updated every day. Breezes Grand Negril Resort & Spa in Jamaica is organizing a Scuba Week, during which guests can experience underwater life at a 50 percent discount. 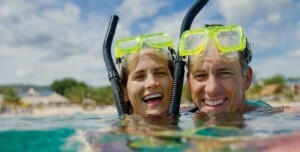 Scuba Week will take place between December 12 and 18. During this offer, guests can receive PADI (Professional Association of Diving Instructors) certification at $175, usually offered at $350. At the resort’s diving sites, which feature 30 to 60 deep vertical walls, divers can swim among colorful fish, turtles, southern stingrays, and the occasional dolphin. Divers can enjoy sponge life and corals in varying shapes, sizes and colors, and swim at artificial reefs that include several airplanes and a boat. The resort’s novice package includes a free resort course (worth $70), up to three daily dives and two complimentary night dives. Beyond diving, the resort offers water and land sports, including tennis and windsurfing, spa treatments and relaxation by the poor or beach. Breezes Resort offers all-inclusive packages: accommodations, meals, activities, entertainment and hotel taxes are covered by the single payment. The resort is located on Jamaica’s Southwest shore by Runaway Bay. Brazil Has a Gift for US Citizens!